Depends on what you are doing I guess? The one from Eastwood should be close to correct as for as the motor goes but I have had guys say that NIC has a better chevy and more accrite one for it. Then whay in the hell don't they say it?? They want looks like? What is showed in the pictures are way to bright for OEM stuff from what I see. So as ask, what are you after? Here is a picture of the EW one but not a close up. Opps the chevy to the left and Mopar to the right. I am going to be matching a few engine bay and interior parts to this color...so im looking for the match. The customer is sending me Hemi Orange touch up paint, but Im trying to keep from ordering multiple oranges to find the right one. Last edited by burn504 on Wed Dec 01, 2010 1:43 pm, edited 1 time in total. 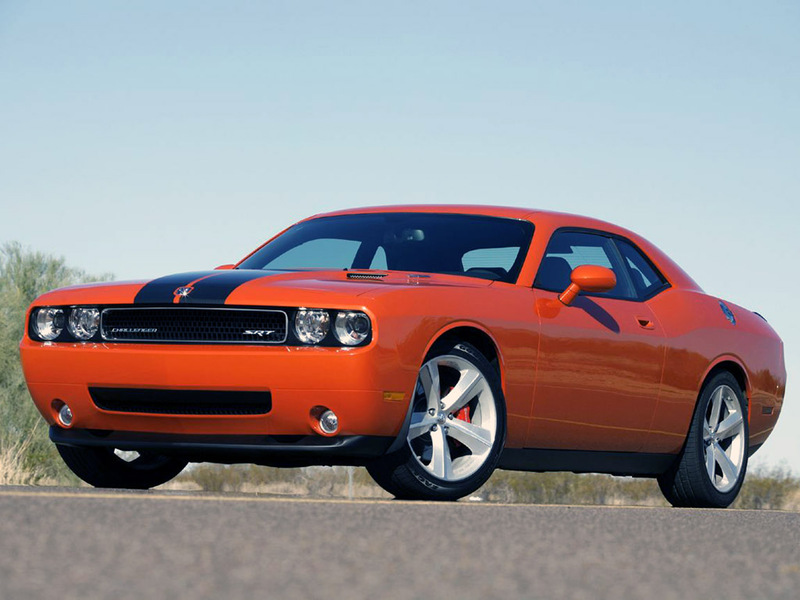 Which is a different color than the Hemi Orange used on the muscle car era Mopars. I own a distrubution company and Hemi Orange is my fleet color. I have always used Dupont paint with the mix of that being from the early Mopar color. A NAPA repesentative approached me for my paint businesss, and I let him mix a sample gallon (which is Martin Senour paint) , just simply telling him that the mix was Hemi Orange. What we recieved was a paint mix based on the 2010 era Hemi Orange. This color looks great , but it is definately a different color than what I was using. It is just a tad lighter, and is now a METALLIC color. If you are trying to match something up by using a color chip, or with something else someone claims to be Hemi Orange, be sure that you realize that there are two Hemi Oranges out there. that is what i am figuring that there is the real hemi orange... and then there is the new color that they are calling hemi orange. Thanks to Duke he is sending me a panel with EW's chrysler orange, and the customer is giving me some touchup paint from their car. So pretty much I am expecting them not to match, but where do I go after that? I am doing you panel now. And it will most likely be a better match to the old school ones. The other M&M might be better than it for newer stuff? And most likely you could get an exact match but unless some one has one already you would have to by 40+ lbs of it from SW or Dupont of PPG to get it. That is the only way they sell. That is why its great to have companies like 365 to buy small amounts from but they don't always have what is needed. They also have to buy the big amounts to sell us the small one. duke46 wrote: I am doing you panel now. And it will most likely be a better match to the old school ones. The other M&M might be better than it for newer stuff? And most likely you could get an exact match but unless some one has one already you would have to by 40+ lbs of it from SW or Dupont of PPG to get it. That is the only way they sell. That is why its great to have companies like 365 to buy small amounts from but they don't always have what is needed. They also have to buy the big amounts to sell us the small one. yea i found some info. I guess I need to clarify something. I have not actually looked at a new Challenger in person to say that it is a metallic color. I can only say that the paint that I was sent is a metallic. Upon questioning the paint dealer with why the difference from the paint I had been using , and after a little re-check work it was determined that it was a mix from the 2010 model year paint code. I am only assuming based on that , that the new Challengers have a metallic finish..